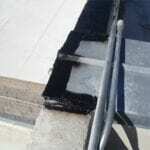 Get a FREE Waterproofing Evaluation Today –Don’t Wait for a Leak! Our extreme weather conditions in Ontario causes thermal shock (expansion and contraction caused by UV radiation). 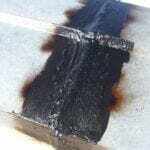 This will cause flat roof substrates and fluid containment materials to stretch or sag at the seams, along the edges and around protruding stacks, pipes and HVAC units. Ponding water is the byproduct of thermal shock and the main contributor to leaks in the membrane. Austin Roofing & Waterproofing will conduct a professional, honest inspection of you’re entire building envelope present a detailed proposal describing the condition and cause of any leaks. Our roof professional will recommend the best course of action to take, whether it’s a commercial roof repair, new roof installation or no necessary work. 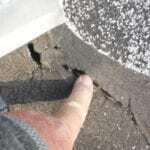 There is no charge to find out the condition of your roof. You don’t have to wait until your roof is leaking - Take advantage of our services and schedule a roof evaluation today!